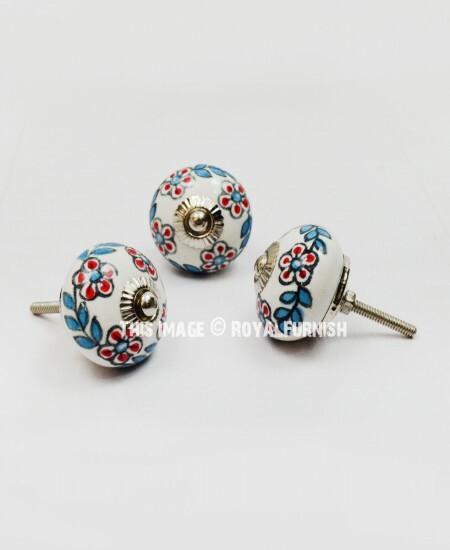 Give a finishing touch to your DIY project with Indian Ceramic knobs to remodelled kitchen, bathroom on dresser and closets. 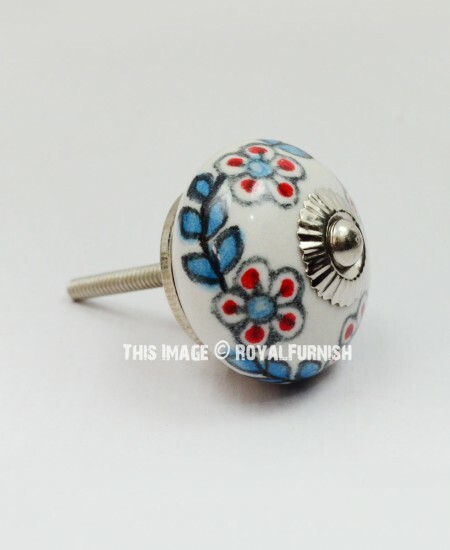 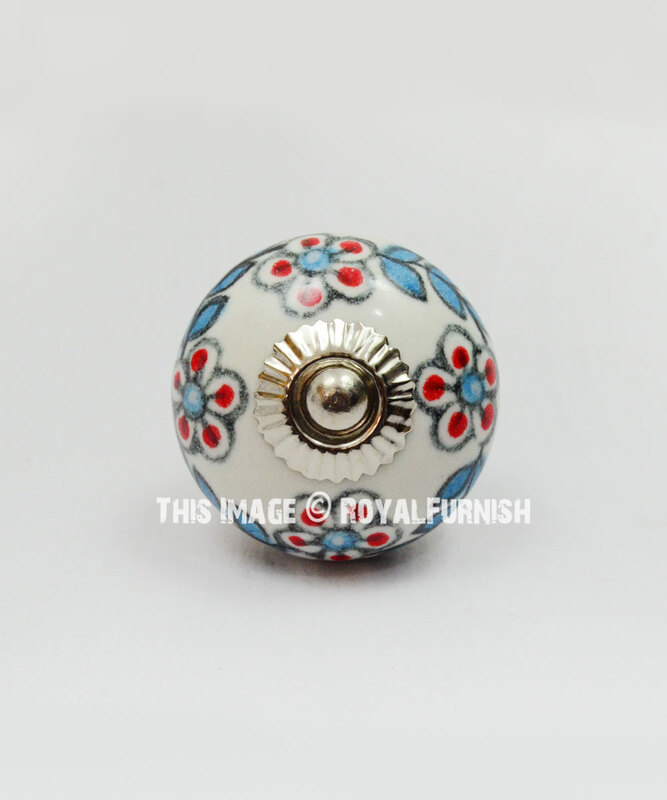 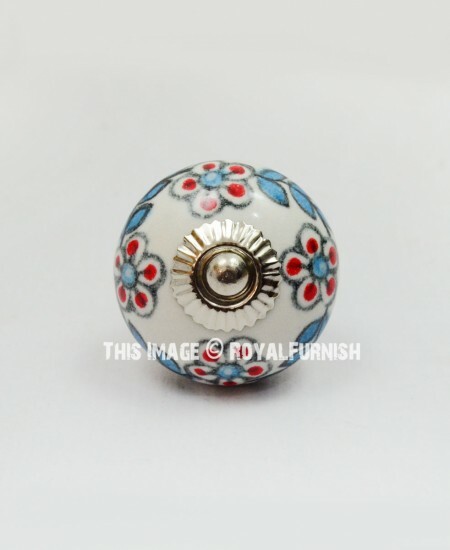 Made of Ceramic and metal with colourful floral design. 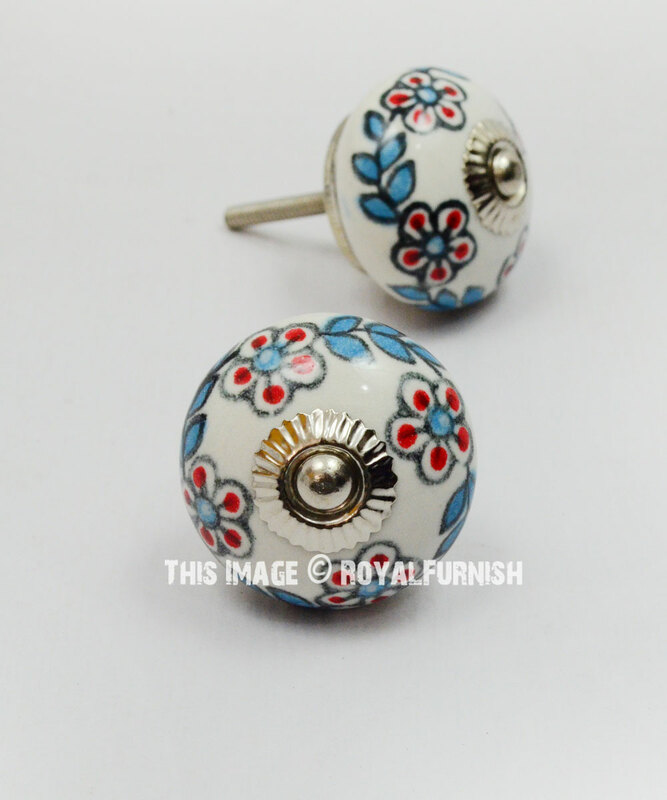 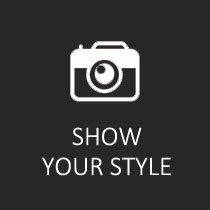 It is handcrafted item, made in India with love. Colorful Flower Painted Decorative Ceramic Drawer Knobs Set Of 2 added to the cart!